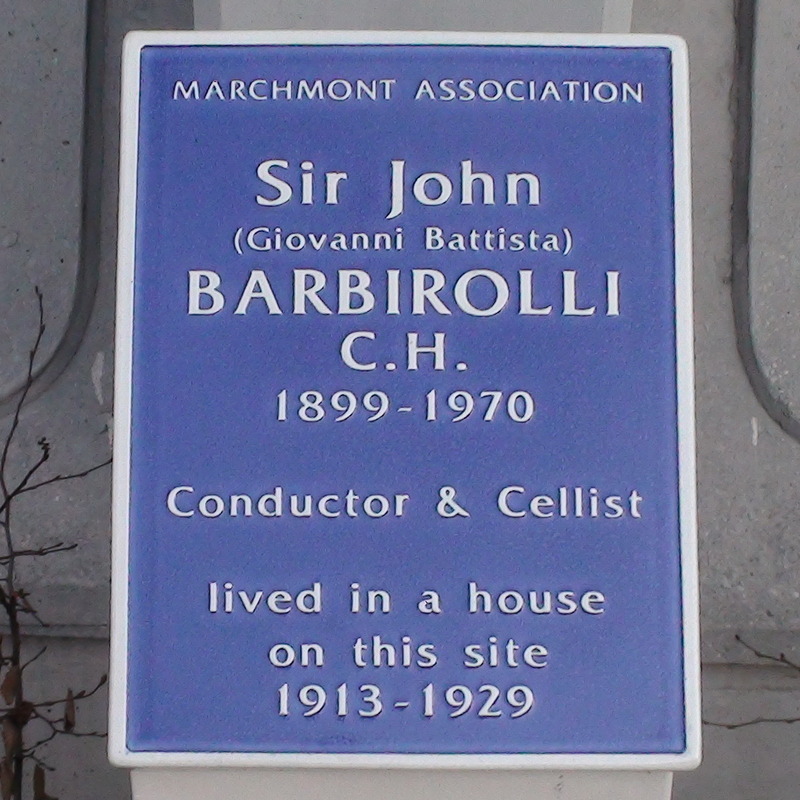 Sir John (Giovanni Battista) Barbirolli C. H. (1899 - 1970) conductor & cellist, lived in a house on this site, 1913 - 1929. Why, you ask, is this plaque attached to a low, free-standing, purpose-built pillar thing rather than to the building? Because the building, The Brunswick Centre, is listed, grade II, and English Heritage refused permission for the plaque to be attached to it. Strange, since throughout Bloomsbury there are many listed Georgian-style terrace houses with English Heritage plaques attached. Perhaps the plaques are now seen as "traditional" and thought inappropriate for a modernist building. 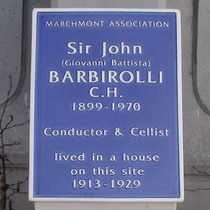 Sir John Barbirolli, C. H.